I was sitting with my mother watching Oprah’s Life Class on OWN featuring Dr. Maya Angelou and it made me want to share this beautiful quote from her, because the more I thought about it the more sense it made. As Oprah would say “Ah Ha moment” for me! I’m working on maintaining my attitude of gratitude! I will truly miss Dr. Angelou, but I know her words will live on forever in my mind. 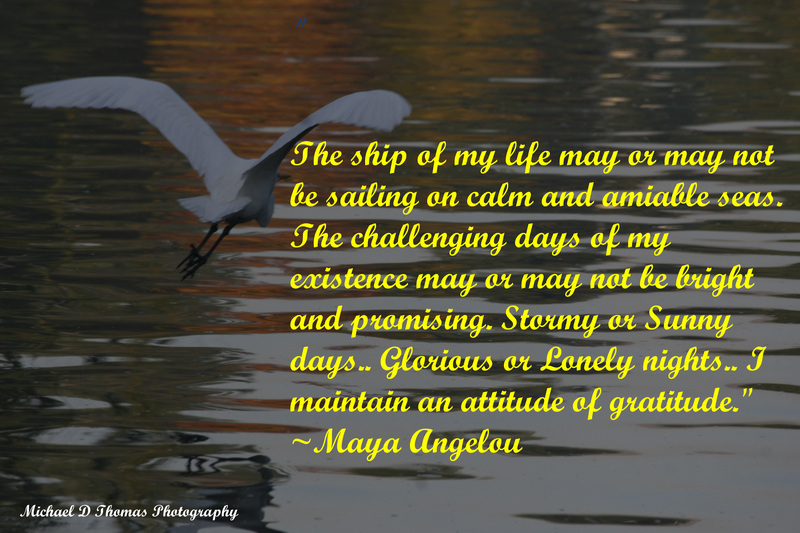 This entry was posted in Photography and tagged Dr Maya Angelou, Inspiration, Photography, Quotes, thoughts, wisdom. Bookmark the permalink.